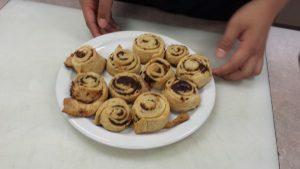 Our group chose to make Cinnamon Rolls because it was something we all like, and we wanted a challenge. 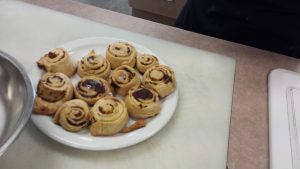 For our recipe there were three steps we had to complete to make the cinnamon rolls. 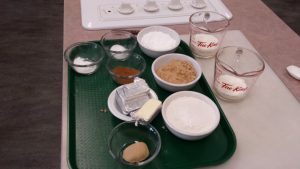 The three steps were; the making of the dough, the filling, and the frosting. Each person in our group did an equal amount of work. 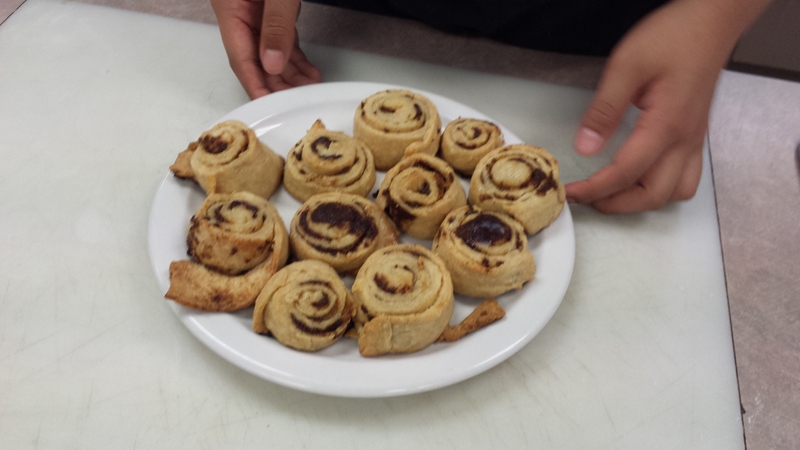 For example; when we were putting together the cinnamon buns one person rolled, and flattened out the dough. Then one person cut the dough, and another one rolled it. This made the process fast and efficient. One thing our group and I could’ve worked on better was the making of the frosting/icing. 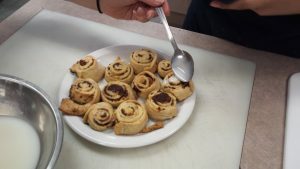 We whisked the frosting together which didn’t make it very thick, but if we had used a hand mixer it would have thickened better. Also, our group kept adding too much milk so it made the frosting really runny. So in the end we learned that you only need a little bit of milk and you need to add more icing sugar. Something we did very well was the making of the dough. The end product of our dough was very light and fluffy and the filling was crumbly. In the end, our group managed our time well and the product turned out satisfactory. What Direction Should The BC Forestry Industry Take?